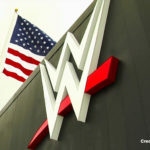 World Wrestling Entertainment (WWE) have switched things up just before we see the year out. I am of course talking about Triple H, Stephanie McMahon, Shane McMahon and Chairman Vince McMahon now taking charge of both RAW and SmackDown Live. So, the point of the Authority taking over both shows is to give them a bit more and most importantly to them – get RAW’s viewing figures back up. The last SmackDown Live of 2018 was aired on Christmas evening (US Time) and saw a new US Champion crowned – Rusev defeated Shinsuke Nakamura to win the title. Whilst we have one more RAW to finish somewhat of an up and down year for WWE. 2018 has seen some big changes in wrestlers’ storylines. Whether it’s Daniel Bryan’s return to the ring, Paige’s emotional in-ring retirement, the death of Jim ‘the Anvil’ Neidhart being used or Curt Hawkins’ losing streak continues, the WWE universe has made their thoughts on each separate occasion known. This brings me to 2019, with the Authority at the helm and the WWE Universe hopefully having more of a say on what happens with the wrestlers’ storylines, I look at five superstars to look out for in 2019. 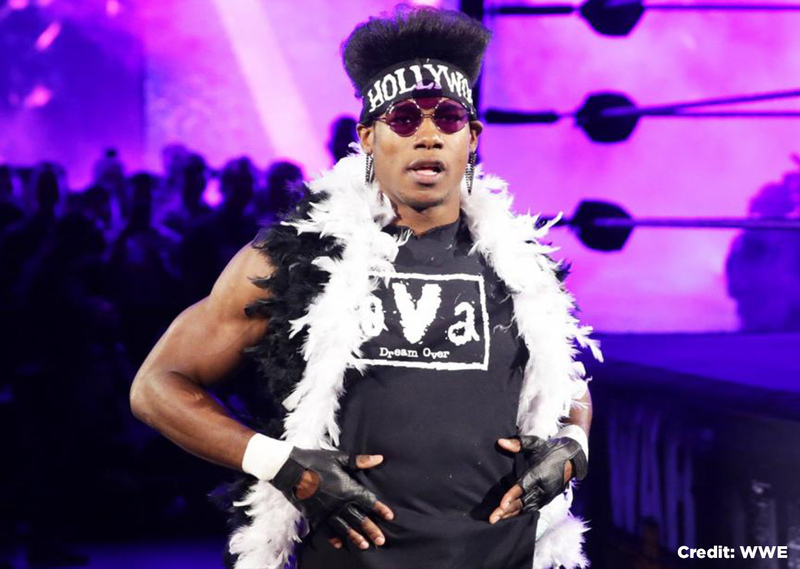 Still only 23, Velveteen Dream has another huge year ahead of him. The NXT star has had a decent 2018, but it’s 2019 where I see Dream really showcasing his talent. There’s no denying the quality of matches he has had this year. Just look at NXT TakeOver: New Orleans, NXT TakeOver: Chicago II, NXT TakeOver: Brooklyn IV and NXT TakeOver: WarGames 2018 to name a few. All were fantastic and all raised questions as to whether he will have a title run or main roster call-up soon. WWE has already announced that four singles and one tag team are set to be called up from NXT to the main roster, Dream is not one of them and so WWE fans will be wondering when the time is right. If he is to be called-up then I think it will be post-WrestleMania. However, I feel we will see the 23-year-old make an appearance at the Royal Rumble. This appearance will spark a massive 2019 for him and lead to an initial mid-card push when he debuts on either RAW or SmackDown. One of the biggest names in 205 Live and now part of the SmackDown Live roster, Ali has had a very solid 2018. Despite not capturing the Cruiserweight Championship whilst part of team purple, Ali has shown why he is one of the best talents on that roster and why he deserves to be moved onto one of WWE’s ‘bigger shows’. Looking to next year, Ali now has a two-match win streak going into 2019, his high-flying style makes his matches very exciting and we can only imagine some great contests he’ll have with the members of the SmackDown roster. I think 2019 will be an interesting one for Ali. I see a future WWE Championship match on the cards with Daniel Bryan, I also see a potential match with AJ Styles. Whatever the case I am certain Ali will have a great 2019. Despite being the first women to ever be eliminated from the first ever Women’s Royal Rumble, Mandy Rose has had an up and down 2018. It looks like she’ll end this year and start next year feuding with Naomi. Once her feud with Naomi comes to an end, I see Rose setting her sights on the new Women’s Tag Team Titles with Sonya Deville in 2019. 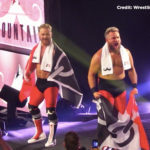 The pair have interesting move-sets which can work fantastically when it comes to tag team wrestling. I feel she may eliminate Naomi in the 2019 Royal Rumble and then be eliminated herself. Here’s hoping her 2019 doesn’t start like her 2018 did – a suspected push and then nothing major until the end of the year. Would I be an English Psychopath for thinking the Scottish Psychopath could be the first British WWE World Title holder in 2019? Maybe, but think about this for a minute. McIntyre is the ideal man for a heel World Title run – his move-set screams powerhouse, his look and attitude is badass, he’s from Scotland and his claymore kick is an immense finisher. He could feud with a number of face wrestlers and have incredible matches with many of them. 2018 saw him capture the RAW Tag Team Titles with Dolph Ziggler, feud with the Shield and become an out-and-out heel. His return to the main roster has been great so far and if Braun Strownman dethrones Brock Lesnar at the 2019 Royal Rumble, then I eventually see McIntyre being the one to take the title from Strowman. I’m sure I’m not the only one who wants to see McIntyre have a Universal Title run in 2019. Don’t get me wrong I find his winless streak an interesting storyline, however, I feel early 2019 should see the end of it. Hawkins is a good wrestler and he deserves better. I’d book his winless streak to end against a huge heel – whether that be Lesnar, Dean Ambrose or Baron Corbin. The latter makes the most sense but then again something as big as a 200+ losing streak deserves to be broken in big fashion – why not have him beat Ambrose on the first RAW of 2019 (January 7th) thanks to a Seth Rollins distraction? This will allow the streak to be put behind us and see a ‘new’ Curt Hawkins. There’s so much you could do with him. Why not reunite Hawkins and Ryder and strengthen the RAW tag team division? If not Ryder, why not Heath Slater – another misused talent on RAW’s roster? Heck, why not have him win the 2019 Royal Rumble? Ok, maybe that’s too far…? Whatever the case. I think 2019 could be a huge year for Hawkins if he is booked in the right way. These were my five WWE superstars to look out for in 2019. Yes, it may not contain the likes of Finn Balor, Seth Rollins, Dean Ambrose, etc, but those names are too obvious. Who do you think is a superstar we should look out for in 2019?